Remember when my sisters and I made strawberry jam? 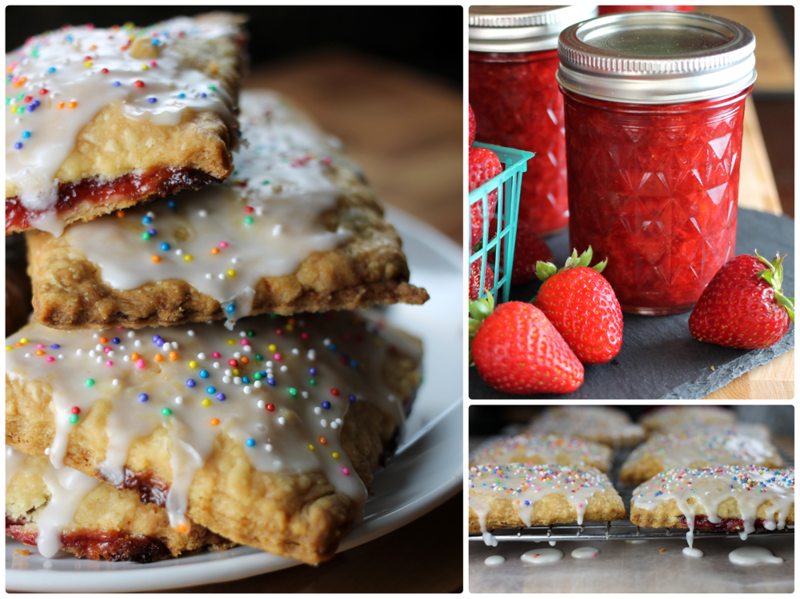 Before the jam was even done, I already knew I wanted to make some homemade pop tarts. I’ve enjoyed the store bought variety many times in my lifetime, but I can’t eat them as an adult without feeling an overwhelming sense of shame. Once a treat is homemade, however, it’s fair game! 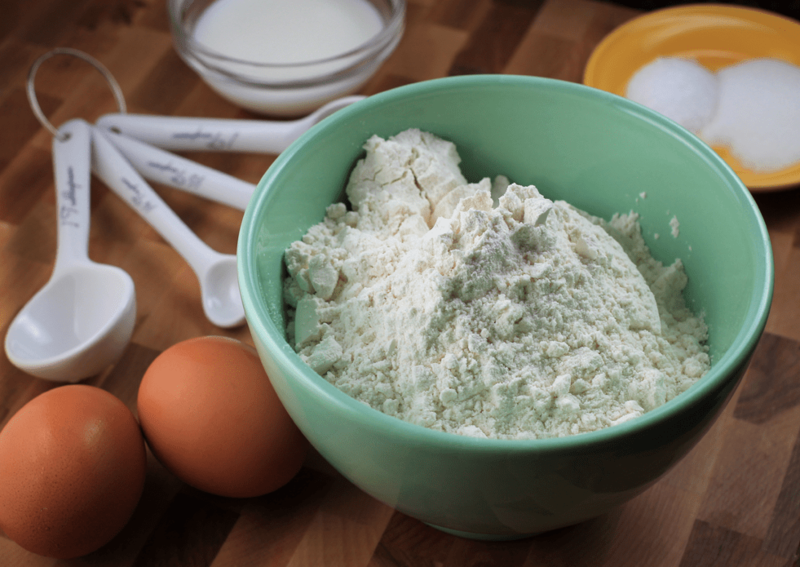 The dough uses just a few ingredients that you’re likely to have at home: flour, sugar, salt, butter, eggs, and milk. Let me tell you, this dough is really buttery. Like, really really buttery. 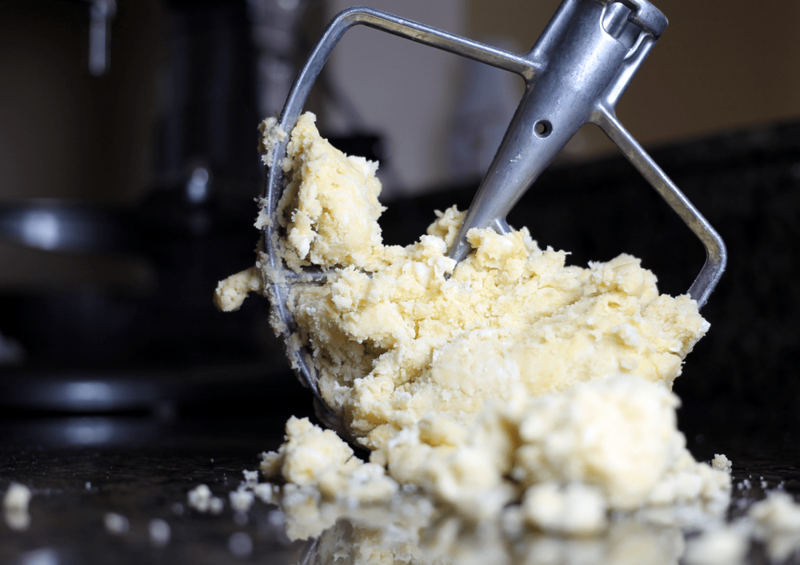 Like, you-just-rubbed-straight-up-butter-all-over-your-hands kind of buttery. 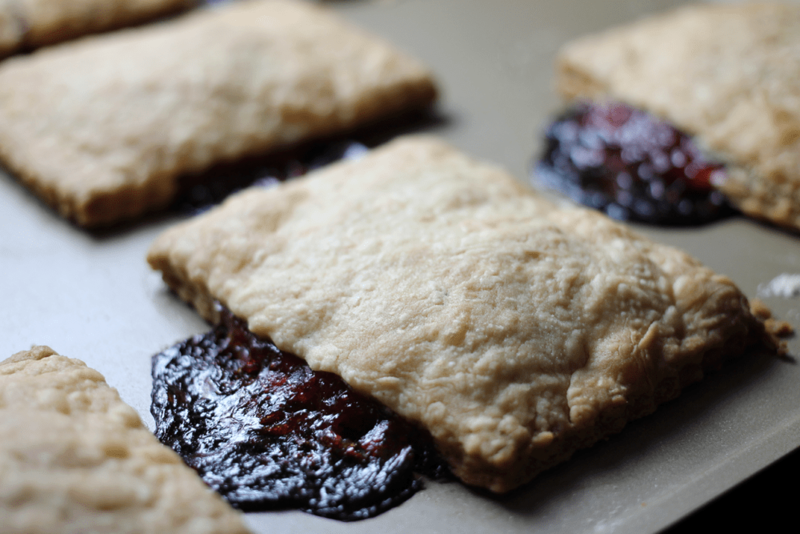 Here’s the thing, though – it’s what makes the pop tarts so wonderfully flaky and damn delicious in the end. After the dough sits in the fridge for four hours, it’s not as messy. 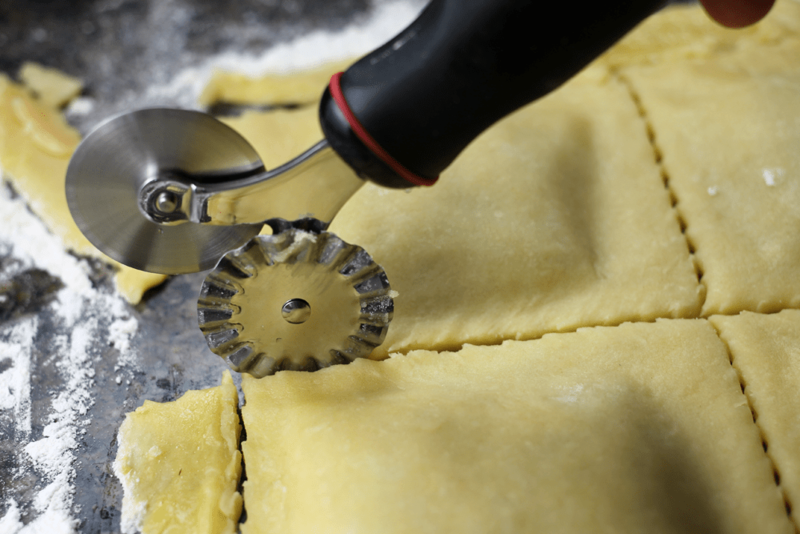 Add a lightly floured rolling surface into the mix and it becomes much more workable and friendlier to use. Half of the dough is rolled out into an 11 by 14 inch rectangle. Or rectangle-ish shape, which is as best as I can do. 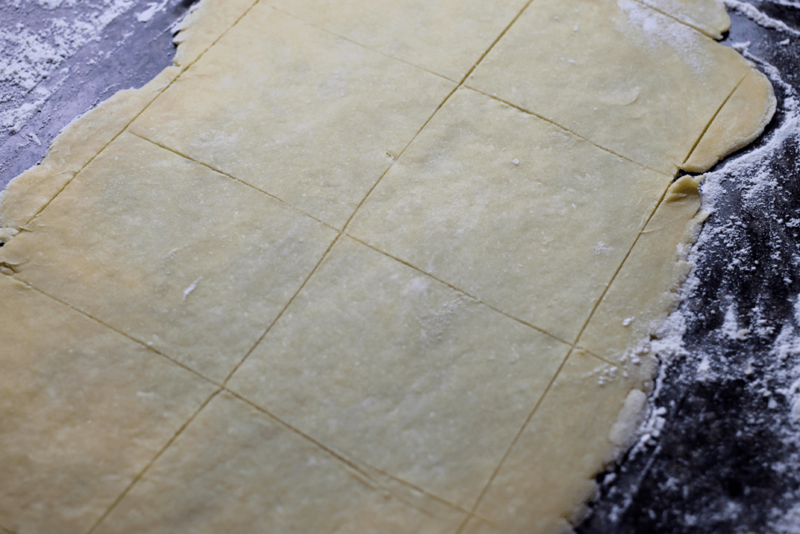 The lines you see in the dough are scored lines that act as a guide for the eight tarts and don’t go all the way through. 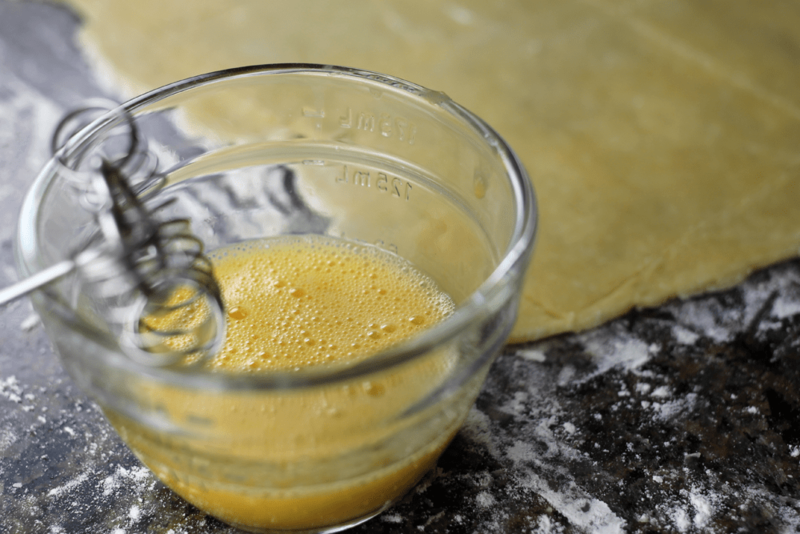 A lightly beaten egg is brushed over the entire surface of the dough and acts as a glue to help seal the tarts. The other half of the dough is also rolled out into an 11 by 14 inch rectangle and placed on top. 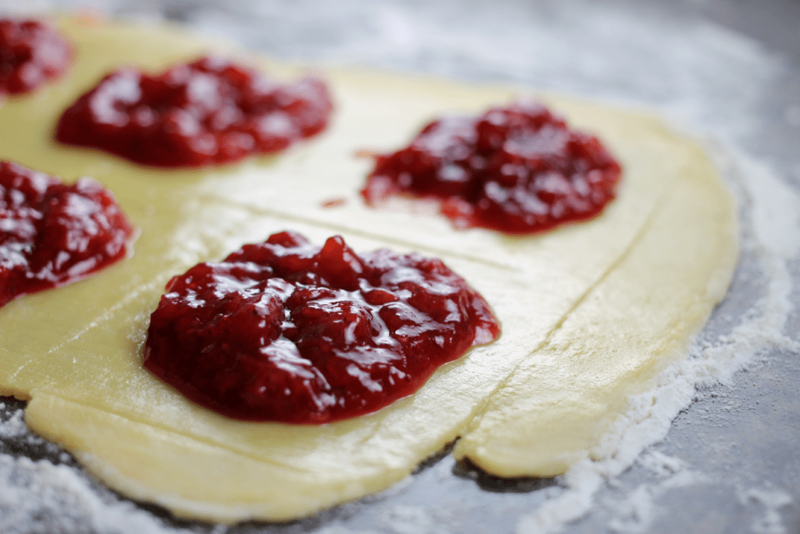 Gently press the dough together around the jam to help seal it in. It looks like giant ravioli, doesn’t it? Below is what happens when the dough isn’t completely sealed. Yup, the jam tries to make a run for it. If this happens to you too, know that it’ll be super tasty all the same, but you will have some stubborn baked jam to clean off your cookie sheet. Something to note: at room temp, the dough becomes very delicate. I used a pastry scraper to lift and move each pop tart onto my baking sheet. I was certain they wouldn’t hold together if I moved them by hand. 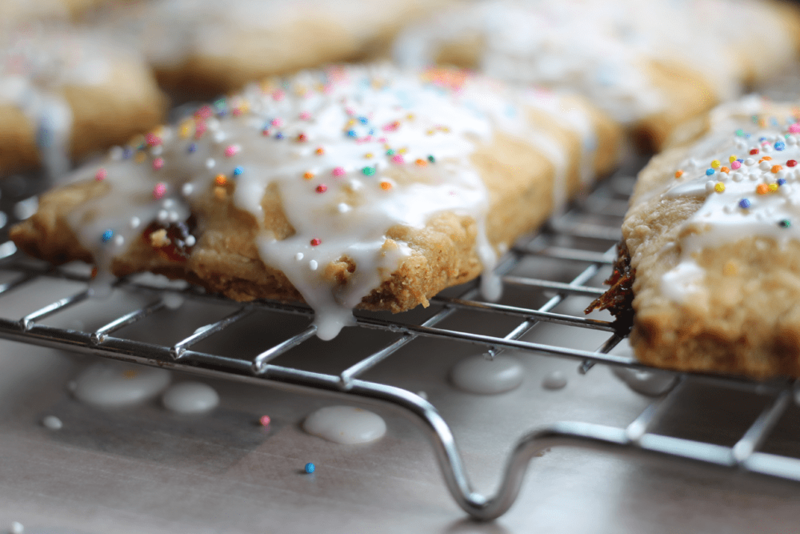 After the pop tarts have baked and cooled completely, spoon some easy vanilla frosting over the tops and add some sprinkle zazz. The frosting is easy – it’s one cup powdered sugar, 1/4 teaspoon vanilla extract, and two or three tablespoons of water (I used two). First make the Pate Brisee (aka – fancy dough) that’s below and chill for at least 4 hours. You can even make it a few days ahead of time and chill. After the dough is ready, then start here. Remove the dough from the refrigerator and divide it in half. Press each half into a rectangle. On a lightly floured surface, roll out each half into an 11 by 14 inch rectangle. Using a paring knife, lightly score 1 rectangle into eight 3 1/2-by-5 1/2-inch rectangles (about the size of an index card). Brush the top surface of the entire scored rectangle with the egg. Spoon 2 tablespoons of the jam in a mound in the center of each scored rectangle. Lay the second large dough rectangle directly on top of the first. Using fingertips, carefully press down all around each jam mound, so the pastry sheets adhere to each other. When the pastries have cooled for 30 minutes, brush the tops evenly with the glaze, then sprinkle with the rainbow sprinkles (if you want to add some zazz). Let stand for 10 to 15 minutes to allow the glaze to set before serving.